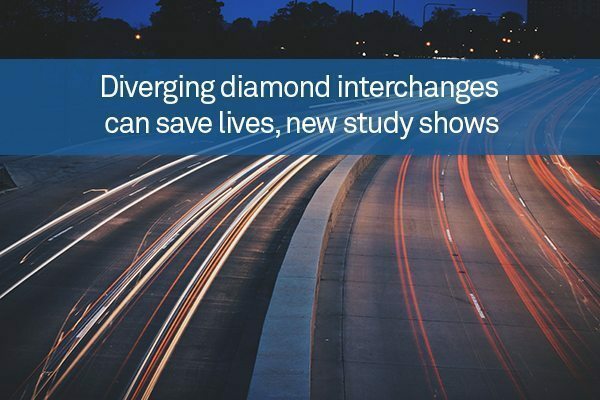 A new study has provided evidence that an innovative type of road structure called a diverging diamond interchange (DDI) can help to improve traffic flow and minimize the risk of collisions occurring. Civil engineers from the University of Missouri have examined the implementation of these designs in the US to see what benefits the interchanges – which divert drivers to the left side of the road prior to merging on to an interstate, freeway or highway – can provide in terms of safety. Conventional interchanges used in the US compel drivers to remain in the right lane and make wide left turns on to the overpass. By contrast, DDIs utilise left turns only, allowing drivers on overpass or underpasses to exit major thoroughfares by sticking to the left side of the trafficway. This improves safety by eliminating the left-turning conflicts common in diamond interchanges, with traffic lights used to offer further control over flow. DDIs have been introduced in various locations around Missouri, with the first one being put in Springfield in 2009. The University of Missouri team published three studies analysing the safety of these designs by analysing more than 10,000 crash reports from across Missouri and other states that have adopted the concept. It was determined that overall crash rates decreased by more than 50 per cent nationwide, with accidents causing death or injury declining by more than 70 per cent.